The World Cup has expanded to 32 teams to doesn’t that mean we should find some poorer teams. Who could be the ones to let in a lot of goals and they could well help with top goalscorer betting. Last time round in the group stages Cameroon and Australia let in 9 goals and Honduras shipped 8. It could well be a case of deja-vu as Australia let in 11 goals in their 10 qualification matches and again look to be pretty weak and needed the play-off to make it to the finals. South Korea and Saudi Arabia both let in 10 goals in their 10 AFC matches so could be a bit weak as well. It’s tricky to draw any conclusions from Africa as teams only play 6 matches but Nigeria let in more (6) than any of the other teams that qualified. In CONCACAF Mexico smashed the group and Panama were the ones who squeeked through, however, the did not score many or concede many so might not let in lots of goals. In CONMEBOL Peru look the weakest team and would have finished 8th in qualifying if Bolivia hadn’t fielded an ineligible player and turning a 0-2 loss into a 3-0 win. In Europa Poland topped their group but let in 14 goals during qualifying which is 5 more than anyone else. 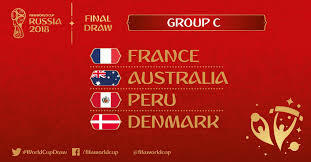 Of these teams mentioned we can see that 2 of them, Australia and Peru, are in Group C so France could well be a team that will score some goals. South Korea are in with Germany and Poland are in Group H which looks wide open. The World Cup is just a few days away and we’re really looking forward to it. Loads of matches each day to get involved in and excitement all over the world. We’ve had quite a few messages lately asking us where the data is. Last time round we prepared some data for the World Cup but it’s really hard to do and FIFA could not even vouch for the accuracy of the data so this time round we have not added any data to the site. We would have preferred to do so but instead we can take this time to get everything ready for next season in terms of data as that comes round quickly as soon as the World Cup is over. We’ll add in a few WC2018 specific posts over the coming days as we have some ideas on what we will be betting on.